We spend three or four lazy days in Mantanchen, just south of San Blas in mainland, Mexico. Hundreds of years ago, San Blas was thriving naval port for the New Spain. Now it is a much smaller, traditional Mexican harbor town, with a few tourists, adequate number of mosquitos and a unique charm that made our visit memorable. The anchorage was wide and quiet; the beaches were lined with palapa roofed restaurants, with thousands of plastic chairs. It was surprising deserted so our small group of sailors tried to spread out our business. Our daily routine consisted of a morning outing ashore via dinghy. We'd lug our dinghies high up on the sand, lock them up and have a bite or drink to eat at the host palapa, before venturing into the town of San Blas. The walks included sandy beach roads, a gauntlet of a dozen or so "Pan de Platano" (Banana bread) establishments, a cerveza distribution and retail store, and lumbering trucks, buses and vehicles. Afternoons would end up with beachside dominos, games and socializing. No siestas this time! Highlights included a Jungle Tour up a narrow, mangrove lined river with many birds, turtles, iguanas and crocodiles. At the top of the tour, we enjoyed the fresh and cool water swimming hole with a rope swing that demanded exhibition jumping and acrobats. Rob's back flip unanimously won. The afternoon Mexican dominos game with 5 couples and several giant Pacifico ballenas ("Whales") and countless meals was memorable. The sunset cockpit discussions ranging from "what day is it?" to the dreaded "w" word with friends generally summed up the day. He wrote the poem as the bells from the old church on the hill were silenced in 1872. The Past is deaf to your prayer! Nancy is making a deal! We were reminded of the remoteness of the Channel Islands in CA this week when we visited Isla Isabel, an isolated volcanic island 90 nm southwest of Mazatlan. Now 90 nm seems a somewhat short distance, although it is likely the longest range we’d attempt to accomplish in one day. (And a day = 24 hour). Isla Isabel is a somewhat natural path for sailors migrating from Mazatlan down south towards Banderas Bay (Puerto Vallarto). We left at 2AM in the morning from an anchorage in Mazatlan, after enjoying heartily the local garlic shrimp pizza with our friend Michael from Patanjali, and neighboring boat, Sojourn. The wind gods were sleeping that day, so we had to motor most of the way. The skies were clear, we were visited by our dolphin friends, occasional sea birds and several fishing pangas who were concerned that we might snag one of their long line nets, which we did..... three times. As we approached the island the following afternoon, we could see hundreds of birds swirling high up in the thermals. A few masts from sailboats started peeking up from one of the anchorages. We had arrived. The next day was full of fun. We met friends ashore in our dinghys and hiked through the brush on trails, being careful not to disturb the nesting seabirds on the ground and above our heads. Nancy was in search of the blue-footed booby, which we sighted soon. The frigates were plentiful and when excited, would puff up their throats displaying a bright red bulbous display, kind of like a turkey. We found the local fish camp, and met two on-site college biologist grads from the University of Guadalajera. They were very gracious in answering many of our random questions, and joined us further on the hike to a lookup ridge. After the hiking, three of us went off in the dinghy to snorkel. We found hundreds of colorful Pacific Ocean fish, exploring coral cliffs and caves. Nancy saw Moorish Idols, Raccoon butterlies and brightly colored wrasses. Later that night we hosted a sunset Shindig for 7 and had Popstar Mai-Tai’s, grilled shrimp and steak, coleslaw, brown rice and norwegian pea salad. Dessert was Trader Joe’s Jo Jo’s cookies accompanied by an impressive photo show of our combined photos of the trip to date. We all joked, that like proud parents, no one else would be patient enough to sit through such as “slide show”. Long Line kit. About a hundres hooks streched out over 1/2 a mile. Frigate bird yoga. This is how they dry their feathers. The Blue Footed Booby. But really.... When it comes to boobies, who cares about foot color. Our own team from Survivor!! After 60 days at sea, ok, not that much, it was time for some serious beauty work here in Mazatlan. 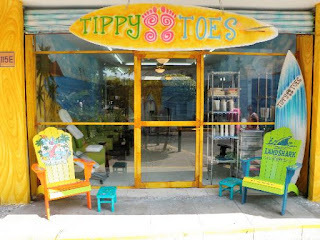 My destination was TippyToes, a highly recommended day spa near the ocean and historical district. At the urging of some new boat neighbors, this would be a good way to try out the local bus system. The buses run very regularly and usually air conditioned, and cost 9 pesos. (less than a dollar). I found the bus stop and chatted up an English speaking woman, following her onto the deserted bus. She was from the States and spends a lot of time here. She showed me the bus route on my map, pointing out her exit and where I should get off. It seemed pretty straight forward. We started our slow crawl downtown and were diverted off the beach drive due to the remnants of a big parade for Mexico's Revolucian day. It was a great way to see lots of young people in various costumes, mostly cheerleading and marching uniforms, walking thru the streets. Soon we were in a downtown area with many shops and more people. I eyed my watch and noted we had been on the bus 45 minutes and my appointment was in 15 minutes. Suddently she got up and left. Didn't seem to be the Central market area she had showed me. Then I looked around the bus and there were a couple of other Americans/Canadians on the bus who also bolted. An older woman looked at me and said "I have no idea where I am". "Me, neither!" I replied. As my appointment was now in 10 minutes, I waited a couple of blocks, and then jumped off the bus. With no directional sense, I ran into the street to flag down the trusty Pulmonia, which is Spanish for pneumonia. They are open aired golf carts w/ VW engines that serve as public transporation around Mazatlan. With 80 degrees and humidity, they are a nice alternative to a cab. For 30 pesos more, he delivered me to Tippy Toes. 5 Minutes later I was sipping a glass of white wine, talking to some Seattle based snowbirds about their love of Mazatlan, and soaking in a margarita mango scrub. Bueno!! 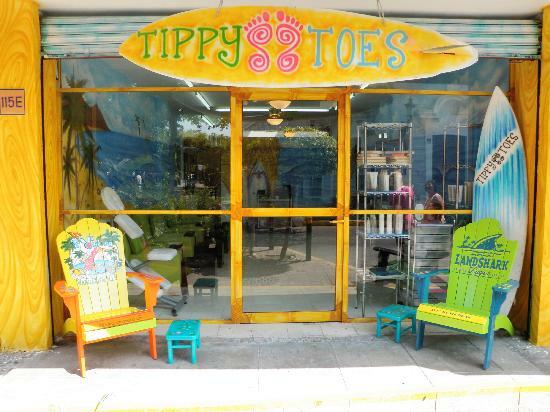 After 3 hours of pampering, I learned the place did not take credit cards. I was able to borrow 100 pesos from a fellow woman sailor at the spa to be able to pay an adequate tip. Then arrived back at the Marina with 10 pesos in my pocket. Rob and I are heading to the ATM this am early! We've heard a lot about the tight knit Cruising community and are now experiencing it ourselves. One unique part is how quickly friendships are formed. Over a few minutes, one can exchange a lot of information and personal sharing, not because it's a requirement, but maybe more a relief to have someone that may have gone thru similar things to arrive at the same marina, dock or sailing adventure. Generosity of friends includes loaning of bicycles, car rides, spare parts, extra supplies, books, invites to "come aboard". Here is Mazatlan, there is a daily 8am radio check in on the VHF. After the intros and calls for any emergency news, it's an open forum for offers to help. Those traveling via plane to the US offer to drop mail in the States for others. We met boats the first month out that we may never see again. Zoe, from Bainbridge Island, WA, was our first boating friend, met in Santa Cruz on our 2nd day out. Our final week at the San Diego dock now feels like old boating neighbors: Kiapa, Taj, Calyposeau, before joining the other 115 HaHa sailboats. In addition to the HaHa boats, identified by turquoise burgees flying high on masts, under the Mexican flag, there is a wider community of cruisers (aka sailors) in Mazatlan. Here there are sailors that live on their boats and in this marina, for years! When we pulled in two days ago, in 10 minutes, we were given overviews on where to eat, do laundry, find a margarita and catch a cab. Wow! We will be spending Thanksgiving at a Cruiser's dinner in Old Mazatlan. We were given free tickets from S/V (Sailing Vessel) Wizard as they have other plans. Am sure it will be a festive atmosphere. We have so much to be thankful for. Happy Thanksgiving to our Friends and Family, Near and Far. Our trip across the Sea of Cortez was mostly a motorboat ride. 26 hours or so to make the trip and 20 of that was using the "D-sail" named "Perky"
I wish we had more wind but sometimes this crossing can give you too much on the beam and make for an uncomfortable trip. After making passages with the 115 boats of the Baja Haha it was a little lonely out there. Only late in the passage as we converged on Mazatlan did we see any boats on radar and AIS. On watch or Off watch! Our last days and nights on the Mexican Baja were spent in the anchorage of Los Frailes. We thought it would be a quiet, pretty anchorage with time to rest and reflect on our voyages to date. The days were spent snorkeling, swimming, walking w/ fellow sailors on the beach and progressive boat parties culminating in fantastic dinners both nights. The first night on Shindig we shared our fresh yellowfin sashimi grade tuna with a couple. The second night we were guests aboard our friends' Hylas 42, Scot Free. Deb and John treated us to proscuitto cream based pasta, Italian mozzarella salads and limoncello for dessert. There are some impressive restauranteurs amongst the cruisers! According to this chart, SV Shindig is on land! This is common in Mexico as the charts are not super accurate. The marina Puerto Del Cabo didn't exist when these charts were published. Nancy busted out a cake for dinner with the Camelot crew. Nancy hits the beach for a jog. Shindig is attacked by night butterflies. Rob staged a successful catch and release campaign. The butterflies were taunted but not injured. The water temperature here is about 80 and the visibility is about 30 feet. From our anchor spot we can swim over to the reef and snorkel. I feel a little sad leaving Baja. We won't be back for many months. After three days and nights of Cabo sensory overload, we are ready to start our own adventures in Mexico. We motored straight upwind (East) 19 miles yesterday towards San Jose Del Cabo. Shindig was close enough to shore so we could admire the developments, hotels and cars whizzing by. I thought I could pick out several well known destination resorts where friends have vacationed and honeymooned. Now we are tucked into a big slip between huge sports fishing boats and about 2 dozen other HaHa boats scattered across the Marina. The Marina has been developing for over 5 years; there is an interesting art walk, limited showers, no laundry, good internet and a friendly English speaking staff keen on helping. Our laundry was picked up and will come back tomorrow before we leave. The first night night we enjoyed sunset in the cockpit, and then wandered up to the sole restaurant, The "Container" (build from a shipping container), overlooking the docks. Chicken fajitas, margaritas and mosquitos; the staff proactively brought a nice bug spray to our table as we sat down....$53 USD for three incl margaritas, dinners, and tip. It's starting to feel like Mexico! Huge Tuna, and we will enjoy a piece of it tonight! Today we'll help Bert Novak catch a shuttle to the airport, and we'll be on our way. Our next planned stops is Los Frailes, 28 NM (nautical miles) away. It is a popular anchorage for boats heading either north towards La Paz, or boats getting ready to cross the Sea of Cortez for mainland Mexico. We know we'll see many of our new friends, and play in the surf a bit there. We've revised our route, and plan to cross over to Mazatlan a few days later. With Bryan arriving mid-December south in Manzanillo, we want to spend the time going south. Will catch up with the Sea of Cortez, and La Paz area next Spring, as we come back up.